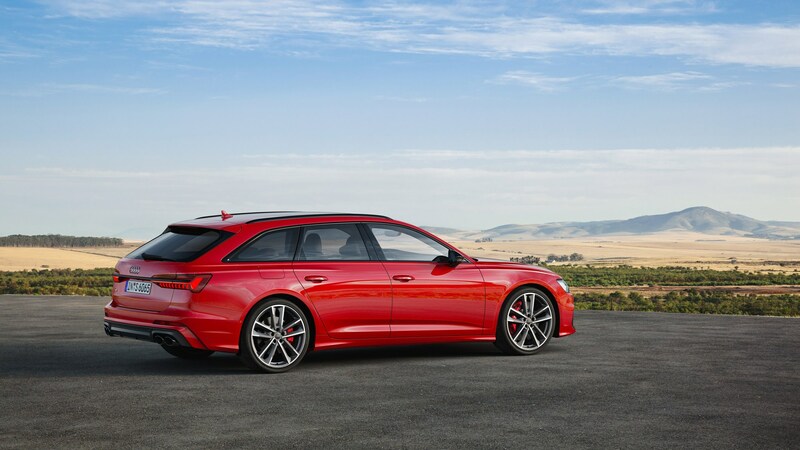 Audi has revealed the S6, a warmer version of its A6 sedan and estate – and this time there’s diesel power onboard. 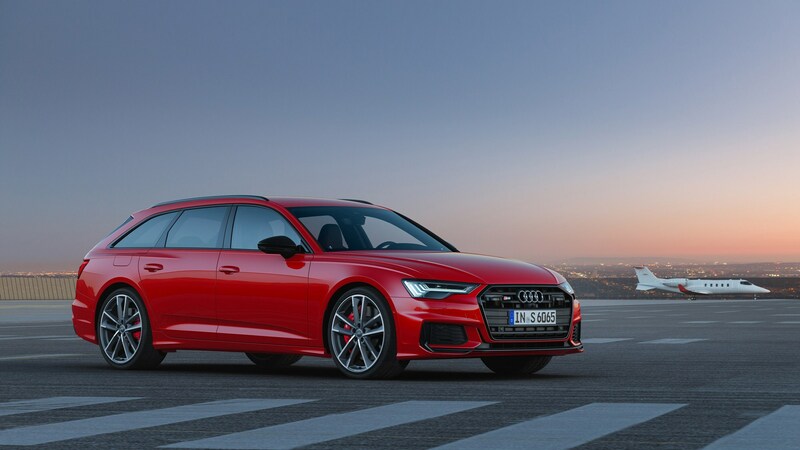 For the first time, Audi has moved plonked the torquey 3.0-litre V6 from the SQ5 into the S6 and S7, and the result is 516lb ft of torque, 345bhp and a 0-62mph time of 5.0 seconds for the saloon, and 5.1 seconds for the Avant estate. Top speed is limited to a liberal 155mph (are you reading this Volvo?) 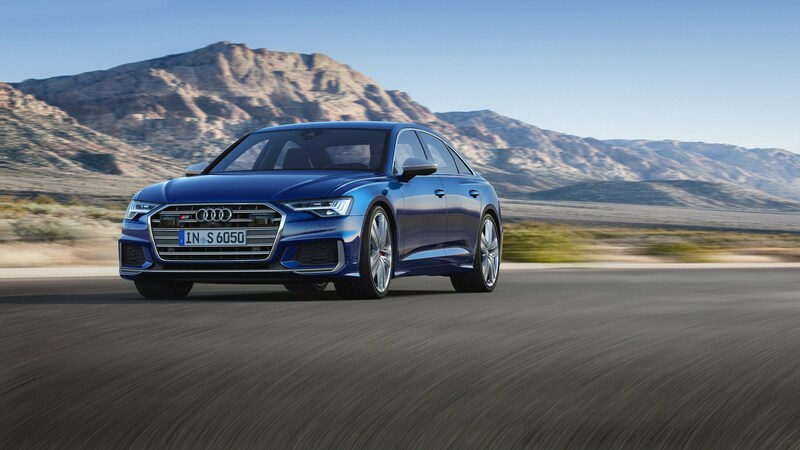 and both models will use a eight-speed ‘box mated to Audi’s quattro system. Tell me more about the engine then? 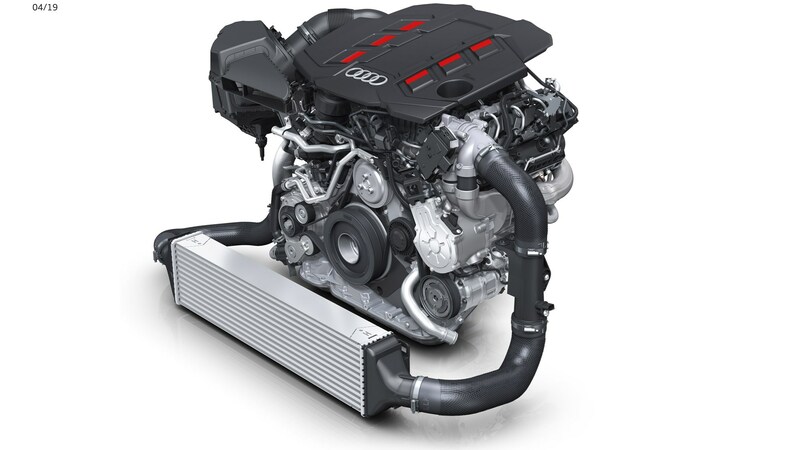 From the maker of the emissionless e-Tron, comes a 3.0-litre V6 TDI with an electric compressor and 48-volt primary electrical system – a bit like the configuration in the current SQ7. Like the other SQ models, the electric compressor – or (EPC) as Ingolstadt calls it, spools the turbo up to speed just 250 milliseconds after you request power. That effectively kills turbo lag, dead. 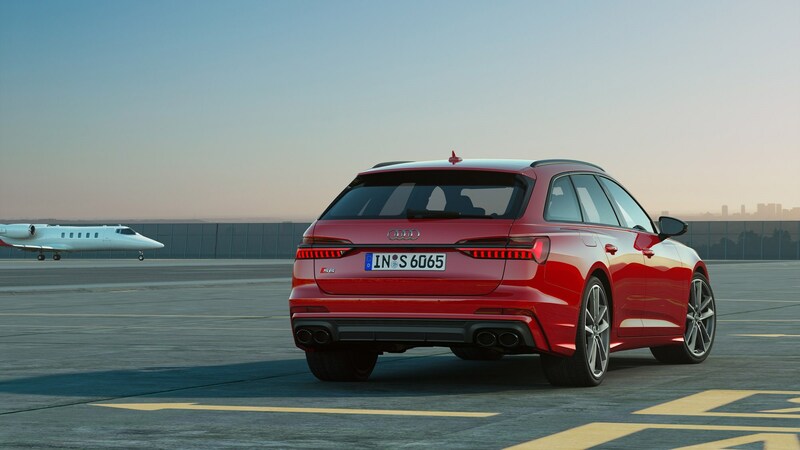 And one more thing; the new S6 will look different to the standard model, too. 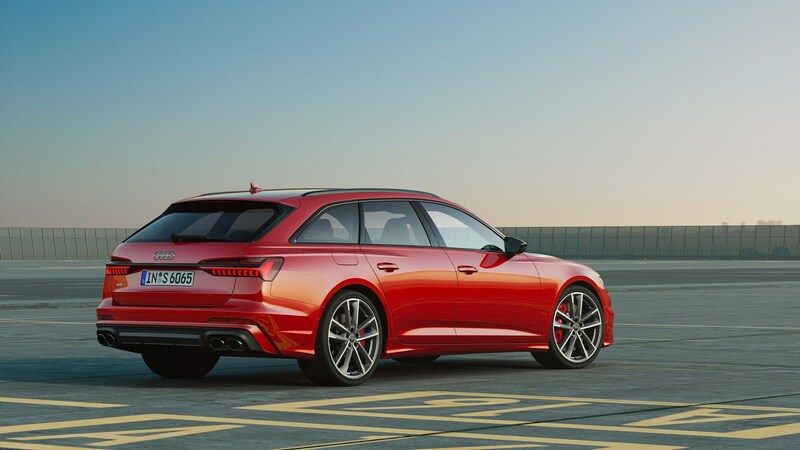 As you’d expect, Audi has tagged on bits and piece of bodywork to the stock car, and the result is an altogether more aggressive look – in both saloon and estate varieties. 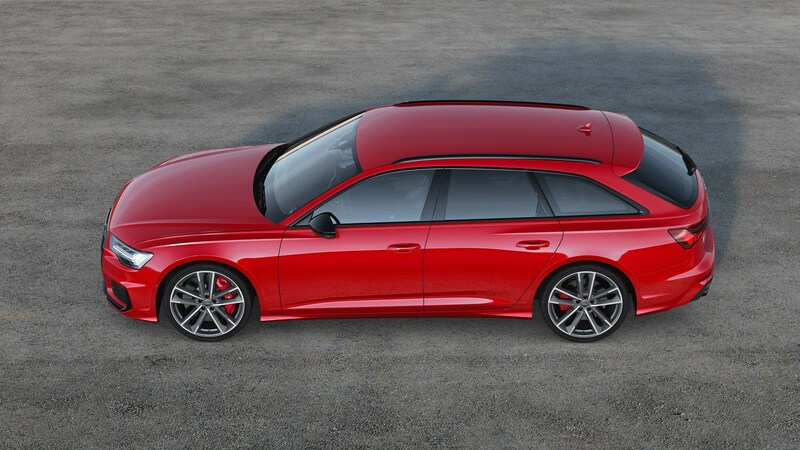 Despite its sportier image, the A6 Avant will still have room for 1680 litres of luggage. 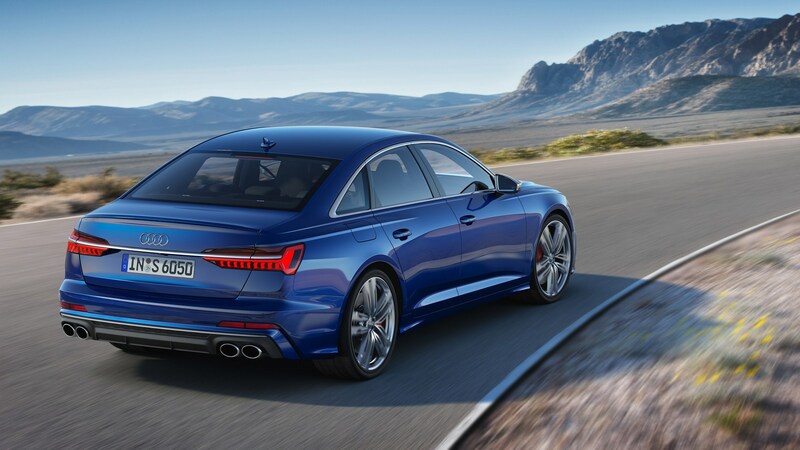 This is the warmer S6 after all, the car just before the RS, so expect adaptive air suspension for a dynamic ride, ceramic brakes for relentless stopping power and 20-inch wheels as standard, though 21s are optional. In S mode, ride height is lowered by 20mm. 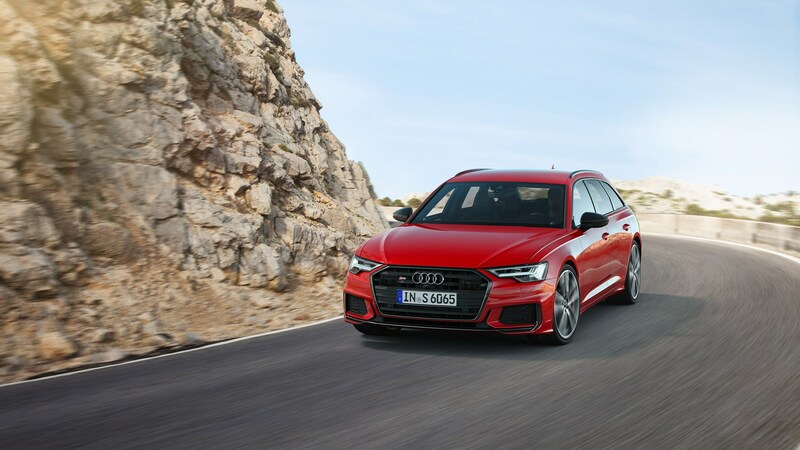 Interestingly, Audi has also nabbed the VW Group’s all-wheel-steer tech for its new S6 models, for even sharper turning. Below 37mph, the rear wheels turn by up to 5 degrees in the opposite direction as the front ones, and over that speed, they’ll turn up to 2 degrees in the same direction for increased stability.